What Snowden gets wrong about its hero. Oliver Stone’s new movie about Edward Snowden is a fairy tale and a bore. 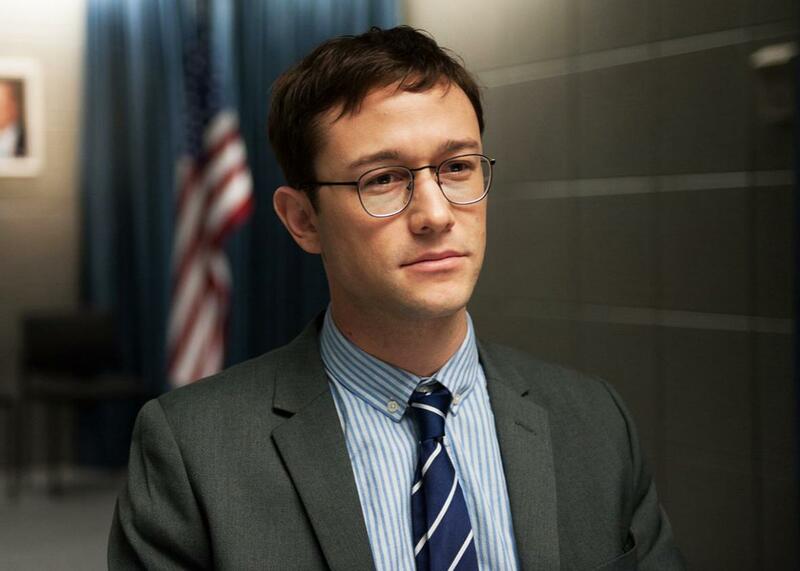 Joseph Gordon-Levitt as the titular character in Snowden. The story, as Stone tells it, matches the portrait put forth by Edward Snowden, his lawyers, and his celebrators for some time: A patriotic young man goes to work for the CIA, then the NSA. Gradually disillusioned by what he sees, he smuggles out thousands of documents that reveal the NSA’s vast scale of domestic surveillance. He flees to Hong Kong, where he gives the material to a pair of trusted, rebellious reporters, so the American people will know what’s being done in their name at the price of their liberty. If that’s all there were to this tale, I would chime in with those who have called on President Obama to pardon Snowden, or at least reduce his sentence, for (as the New York Times editorialized in early 2014) the “great service” he has done his country. But, as I’ve noted in a couple of columns, that’s not all there is, and Stone’s (and the Times editorial’s) omissions go far beyond dramatic license to distort, even falsify, the picture. The fact is, many of Snowden’s documents bore no resemblance to whistleblowing as the phrase is broadly understood. Judging from Snowden-inspired stories in the Washington Post and the Guardian, they revealed details about the NSA’s interception of email and cellphone calls by the Taliban in Pakistan’s northwest territories; an operation to gauge the loyalties of CIA recruits in Pakistan; intelligence assessments inside Iran; and NSA surveillance of cellphone calls “worldwide,” an effort that (in the Post’s words) “allows it to look for unknown associates of known intelligence targets by tracking people whose movements intersect.” In his first interview with the South China Morning Post, Snowden revealed that the NSA routinely hacks into hundreds of computers in China and Hong Kong. None of this is noted in Stone’s film. Whatever one’s views of U.S. foreign policy in those parts of the world, these activities are legitimate aspects of the NSA’s charter, which involves intercepting communications of foreign powers. They have nothing to do with domestic surveillance or spying on allies. Exposing these intercepts is not whistleblowing: It’s an attempt to blow U.S. intelligence operations. And while Snowden has since acknowledged that other countries do this sort of thing too, not least China and his host at the moment, Russia, he never leaked documents revealing their hacking programs even though, in his job at the NSA, he would have had access to reports (and possibly raw data) about them as well. Which leads to another question that the film fudges: Just what was Snowden’s job when he made his big decision, and how did he get there? The film contends that Snowden was a fast riser at the CIA’s outpost in Geneva, brilliant at computer analysis; that he quit the CIA in a fit of moral outrage after witnessing a fellow agent wreck a source’s life in order to recruit him; that, as an NSA contractor, he designed a data backup program called EpicShelter, which others used to identify drone targets by locating their cellphones; that, as a result of this breakthrough, the deputy director of the NSA sent him to counter Chinese cyberattacks at the agency’s facility in Hawaii. Let’s go over the facts. Snowden was recognized as a very talented computer technician early on, but officials have told me that he didn’t quit the CIA; he was fired. One source says that Snowden and the agency “weren’t a good fit” (which could be consistent with the film’s story). Another says he was caught doing what he later did in Hawaii—prowling around files where he had no business prowling. Some officials in NSA are still upset with CIA executives for not recording this infraction on his employment record; had they done so, the NSA might not have hired him. Snowden then went to Hawaii as an NSA contractor hired by Dell. For one-and-a-half years, he worked there as a systems administrator—basically a Mr. Fix-It for their computer networks. He had access to lots of files, but he wouldn’t have had any role in developing something like EpicShelter (which wasn’t invented by Dell in any case, though the contractor did use that program). The claim is simply and utterly preposterous—both the claim that a Deputy Director would assign such a task to a low-level contractor (that just does not happen for many many reasons) and the idea that Snowden was working on some special project, separate and apart from his contracted duties to perform system administration and SharePoint server updates. If you want to know the ins and outs of a fighter aircraft squadron’s purposes, tactics and SOPs, you don’t get that from a contractor hired to refuel its airplanes. Steven Bay, who supervised the Booz Allen contract, recently recalled in GeekWire that Snowden was hired through the usual process of an interview. Now you may say that Bay and Inglis are lying; they’re part of the establishment after all, even if they’ve both since retired. I’ve never met Bay, but I can say (as can many other journalists who’ve covered this field) that Inglis was one of the straighter shooters among senior intelligence officials—to which you might dismiss me as a tool or a dupe. That’s your right, but it really doesn’t make sense that a deputy director—the official running the NSA on a day-to-day basis—would have come into contact with a “low-level contractor” (which is what Snowden was during his first job in Hawaii). The agency had plenty of full-time employees that Inglis could have deployed (and did). In any case, Snowden spent less than two months with Booz Allen before fleeing to Hong Kong. (Thus one bit of dialogue in the film—his supervisor praising him for shutting down 200 Chinese hacking sites in six months—couldn’t be true.) And Snowden later said in his South China Morning Post interview that he applied for the Booz Allen position because he knew it would give him “access to lists of machines all over the world [that] the NSA hacked”—in other words, the sorts of lists that he downloaded and leaked. This much is definitely known: He was hired by Booz Allen on April 1, 2013, spent some amount of time getting trained back in Maryland, near the NSA’s Fort Meade headquarters, before returning to Hawaii. He flew to Hong Kong on May 20 after telling his bosses that he needed to undergo tests for epilepsy, and on May 21 checked in at the Mira Hotel in Hong Kong, where he later gave the documents to reporters Laura Poitras and Glenn Greenwald. * In other words, he stayed at this analytical post at the NSA just long enough to download the goods that he’d taken the job to get. Another story omitted from the movie: According to Mark Hosenball and Warren Strobel of Reuters (and as later confirmed in an NSA memo supplied to Congress), Snowden gained access to some of the documents he took by persuading 20 to 25 of his colleagues to give him their logins and passwords, saying he needed the information to check on some technical problems. Most of these officials were subsequently fired for their careless trust. But there are gaps in this tale. First, look at a globe of the Earth: If you want to fly from Hong Kong to Central America, there are far more efficient routes than going through Moscow. Second, WikiLeaks founder Julian Assange told the Guardian in 2015 that he’d urged Snowden to go no farther than Russia, where he could best be protected from CIA agents. (It is interesting, in this regard, that Snowden’s flight was arranged by WikiLeaks and that he was accompanied on the plane by WikiLeaks editor Sarah Harrison.) Third, the suspension of his U.S. passport is irrelevant; if the Russians wanted Snowden to leave, they could have issued him a temporary visa, allowing him access to a plane out of the country—and customs officers in Havana could have granted him an entry visa upon his arrival. Fourth, Snowden stayed on in Hong Kong for 12 days after leaving his hotel. Not long after his arrival in Moscow, the Russian newspaper Kommersant, quoting unnamed foreign ministry officials, reported that Snowden had spent three of those days in Russia’s Hong Kong consulate. Yes, it’s likely that the report was timed to coincide with the release of the movie, which Wizner, Snowden’s ACLU lawyer, has said he hopes might transform public perceptions of his client and help build a case for his clemency. But that doesn’t necessarily mean the report’s conclusions are false. Second, any president (even, I suspect, one more leftish than Obama) would have to consider the effect on morale inside the intelligence agencies if an NSA contractor who’d pilfered tens of thousands of documents, fled the country, provided them to reporters without any editing, then flew off to Moscow and lived there for a few years—if this person were pardoned or given clemency because a few dozen of these documents sired a healthy debate about NSA activities and some modest but useful reforms. Oliver Stone’s movie entertains no such notions, nor does it dabble in the slightest ambiguities about his hero’s nobility or the intelligence agencies’ evil. What about the movie as movie? It lacks the zest of JFK or Nixon (much less Born on the Fourth of July or Natural Born Killers). Half of the plot is a love story, about Snowden and his girlfriend Lindsay Mills (who now lives with him in Moscow), which might be fine, but the situations and dialogue are clichéd, and the two actors (Joseph Gordon-Levitt, who plays his part very convincingly and charmingly, and Shailene Woodley, who doesn’t) have no chemistry. The scenes at the CIA and NSA manage at once to be overblown and undramatic. It’s a bore. The film is structured around Snowden’s meeting with Poitras and Greenwald in his hotel room in Hong Kong. This was covered in Poitras’ Oscar-winning documentary Citizenfour, which, despite my qualms about its substance, is a much better, more suspenseful, even riveting film. That’s the one to watch. This one’s a fairy tale poorly told.